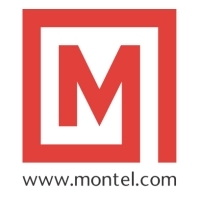 A leading global manufacturer of state-of-the-art innovative storage systems, Montel announces the launch of its completely redesigned corporate website. Discover how Montel communicates its high-density mobile and stationary shelving storage system solutions. Montel is extremely proud of its new image with the launch of its newly redesigned corporate website, said Jérôme Doucet, Vice President Sales & Marketing at Montel. Montel, a global leader of high-density mobile storage shelving system solutions for office, institutional and industrial applications, is very excited to announce the launch of its completely redesigned corporate website. The new website showcases rich content, more intuitive navigation and streamlined searching, interactive multimedia and technology, and other valuable resources and information to online architects, designers and end-users. With improvement throughout, the new website will lead the way in how Montel communicates its high-density mobile and stationary shelving storage system solutions. Site visitors will appreciate Montel’s online experience with better online content, tools, services, and resources. Discover Montel’s history and global presence that earned leadership in the industry. Browse by markets, segments and departments that allow to find the related innovative storage product for unique storage needs. Based on a current location, view the dealer locator that provides local contacts. Research the design center where to find and share product design information with the online design community to enhance designs and to meet specific customer needs. Interested in exciting stories about storage applications, products, or the Montel community? Follow Montel's social media platforms, another way to interact with Montel and share its expertise of intelligent use of space. “Whether you are new to Montel, discovering our product portfolio and market solutions, or in need of support, this new site strives to assist you achieve your storage goals and unveil what you are searching for with greater efficiency”, mentioned Joey P. Boudreau, Marketing Director at Montel. Visit the new website to experience Montel at http://www.montel.com. Don’t forget to follow Montel on Twitter @Montel_Storage, and Like the Facebook page at http://www.facebook.com/montel.storage. Established in 1924, Montel Inc. is the pioneer of high-density mobile shelving storage system solutions in North America. Manufacturer of products for office, institutional and industrial applications, Montel’s achievements include some of the most prestigious projects in North America and around the world. Family-owned and privately held, the company serves clients through a network of Authorized Distributors throughout North America, Latin America, Europe, Africa and the Middle East. To learn more about Montel and/or for a no-obligation space storage analysis, contact us at 877-935-0236 or system(at)montel(dot)com.